Most online strength programs are too general, and therefore don’t address the special needs that you are looking for as a throws coach, or thrower. In addition, most lack in-depth knowledge about designing an elite level strength training FOR THROWERS! The TCR™ Strength Training course teaches how to identify the strength training deficits that are causing limitations in the ring. By learning the proper phases of strength training designed specifically for throwers, you will see fast improvements in not only strength levels, but pure athletic ability as well. 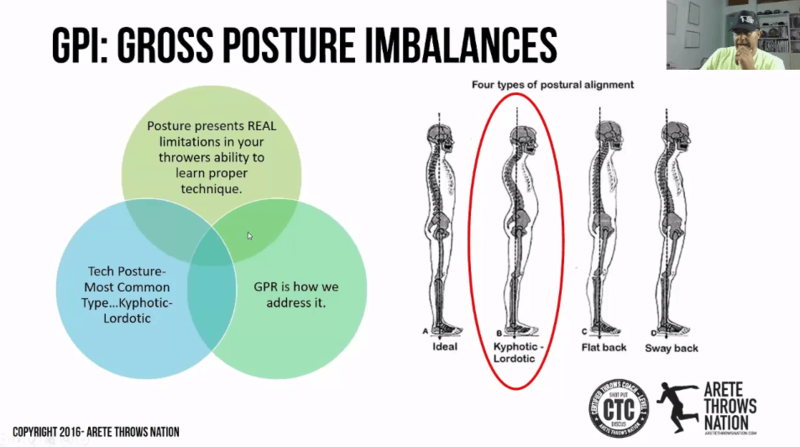 Learn how to have your athlete peak throughout the season, and at the major meets! Receive a FREE template to guide you to design the most impactful strength program for real results. Discover what lifts and exercises directly impact throwing results. 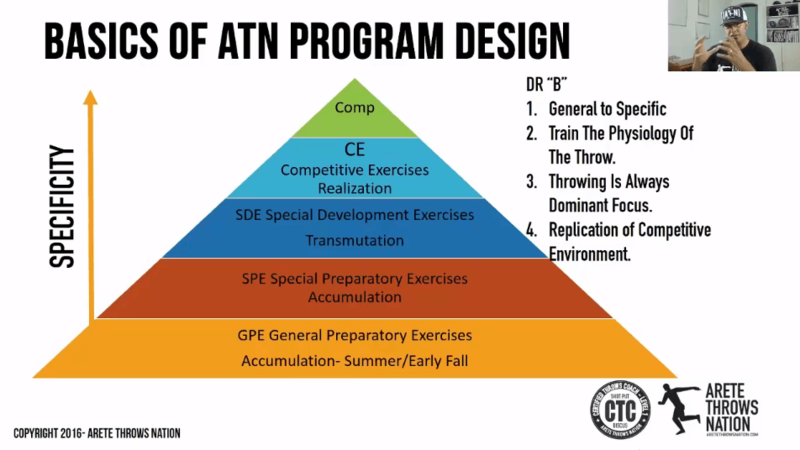 Get a look inside the ATN strength program and see what lifts and exercises have taken average high school throwers to state champions and post collegiate throwers to Olympic trial finalists! You’ll receive a printable lifting program template. 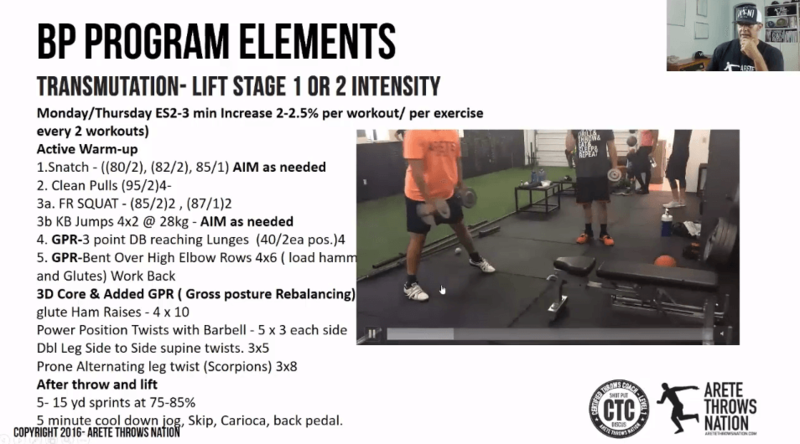 Use this template as you design a strength program using the lessons in this course. This becomes a great tool to stay organize and track the progression of each individual athlete and assess the throws team as a whole. To save you time trying to find one specific slide, you will provided with links to download all the slides from the course for FREE! Use these printable slides to take notes while going through the course, use them as a valuable training tool for you, any assistant coaches, and the athletes… it is yours to keep forever! An outstanding community of throws coaches, parent who coach, and throwers, who are serious about wanting to truly learn how to build a dominant throws program. Everyone is dedicated to learning how to develop either their athletes, or themselves to reach their true potential… many have used the system to build a program that produces champions at the State, National, and WORLD RECORD level…. Others have had many athletes who moved on to successful collegiate careers! Get unlimited Q&A with Coach Erik Johnson through either email, or the private ATN Facebook group. 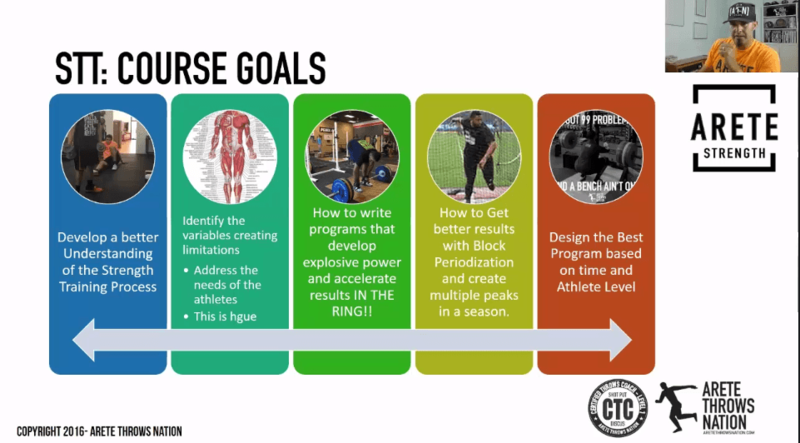 Ask questions about technique, your throws program structure, weight lifting program, or submit video in the Facebook group for analysis… Consulting for these services is $75 per hour… this is a BIG BONUS! Option 2) Sign up today for the ALPHA level membership, and get FREE access to the Strength Training Course and…. Full access to the TCR™ system: 7 other Online courses & webinars, drills, throws video analysis, bonuses & more! 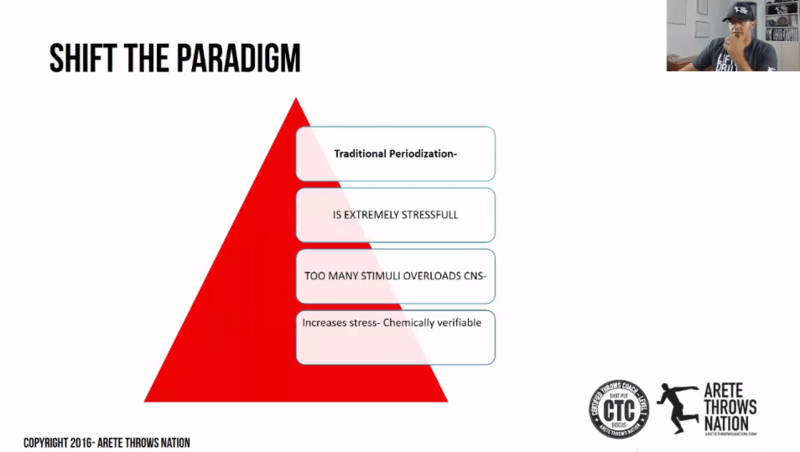 BLOCK PERIODIZATION & WHY IT WORKS! Start Building A Powerhouse Strength Program- Today!